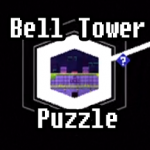 Ahh, the Bell Tower, what wondrous mysteries are stored here! Let’s find out. In the actual Bell Tower area, there really isn’t much to do. 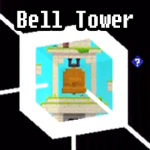 There’s some bits, grab those, but then there’s this huge bell! Don’t worry about that bell, though you’re welcome to ring it all you’d like. The solution to the bell comes with an understanding of the Numeric System, so once you know that, come back here. Or just head to the SPOILER ZONE. Believe it or not, the only other door you can enter at the moment is also entirely useless to you. You’ll be back here later. Way later. Once you’re at the top of the bell tower, head through the door there. And… there’s nothing of value here! Well, that’s a lie, there’s some bits, but most importantly there’s a door! Through that door will be your first incredibly difficult puzzle. Give it a try, it’s a fun find to figure out, but below is the answer should you require it. This puzzle is all you, no ciphers required. 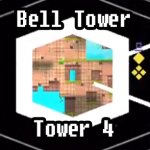 If you want to pass on this puzzle for now, there’s an opportunity to get Anti-Cubes all over the place, including here in Bell Tower, so don’t worry if you skip this one for now. Anti-Cube – Alright. Here we have a small platform and four blocks. On each side of the platform is a required formation from that perspective. You’ll note that if you just throw all four blocks on to meet one perspective, you’ll only be able to satisfy the opposite perspective. That is, by default, you cannot solve this puzzle if you only work in one perspective. So we will work in three of them. As a warning, sometimes block shift when shifting dimensions, so DO NOT SHIFT MORE THAN ONCE AT A TIME. If you do that, there’s a chance the blocks will jump to their default perspectives. Now let’s get down to business. Since this is all rendered in 3D, we know that the platform in fact has a full square on top of it. By rotating, you’ll note that the glowing spots form a 3 x 3 grid on top of the surface. The blocks will magnetize to a grid spot, but it can be difficult to tell which grid spot the blocks are in. Rule #1 – The key here is to throw the blocks in from specific perspectives. The perspective you throw the block from dictates where it is in the 3×3 space. A block will always land on the part of the platform closest to the perspective which you are in. So when you rotate 90* right, the block will be farthest to the right of the platform, and farthest left when you rotate 90* left. Rule #2 – Blocks move in lines. 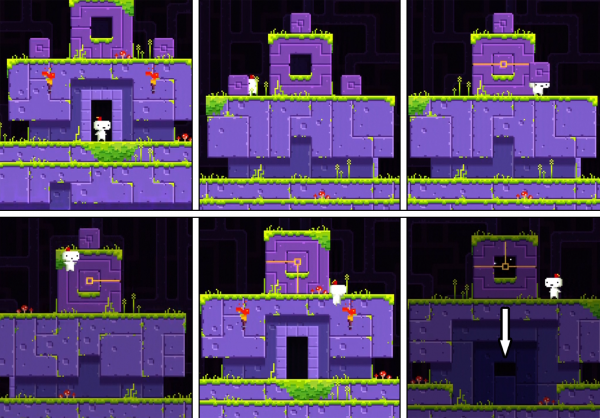 You do not move in a 3D path while moving in Fez, so if you pick a block up in a certain area, that grounds you along the same plane as the block. Such forms the trick. Throw a block in from one perspective to put it on the right axis, then pick it from another to ensure it moves along the correct axis. Here’s what we want everything to look like when we’re done, with each small square on the platform representing a cube. While on C-side (the side you’re facing when you enter the room), push the right-most block into the center. This sets up a block at A-center and one at C-left/B-right. Do a full 360* turn to make sure everything is as it should be. We’ll do these after every major move because somehow Fez gets confused by itself at times, so you may have to walk in and out to reset everything. Next, on A-side, pick up the left most block (actually doesn’t matter) and, while holding it, move to the center. This has you perfectly aligned below A-center. Rotate 90* right (facing B-side now) and throw the block up, jump up then put it on top without rotating at all. Everything should stay where it belongs. Do another rotate check, if the two-stack isn’t at A-center, reset. Lastly, take the final block and walk to the center of D-side. Stay aligned with the center, rotate 90* to the right (facing A-side now) then throw it up. It will magnetize to its blocky brethren and you’ll get an Anti-Cube! Moving on! Let’s go back to Tower 2 and proceed to the next area. That means climb to the top, enter the door and off we go. 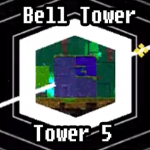 Here we are in Tower 3! This area features a fun vine climbing puzzle to get around, and is like that of many vine puzzles you’ll see throughout. Bit – You’ll want to jump on the vine hanging over the door. Then, rotate 90* to the right and climb over to the right side. Climb up to the top of the vine on the side, then rotate 90* right again to find yourself way on the other side! Pretty cool huh? Grab the bit and carry on. Key – Continuing from where we left off, stay in the small opening in the center of the tower and rotate it 180*, then begin climbing the vine on the other side. After some maneuvering similar to what we just did, you’ll find yourself at the top of Tower 3, one key richer! 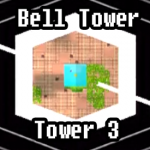 We’re done here, so let’s move on to Tower 4 via the door in the middle of the map. As you can see here, there’s a cube to get in this location. Woot. This area is pretty basic, but it’s a lot of fun. Cube – Make your way through the various platforms. This place is all jumping and rotating, nothing tricky, secret or unseen before here. Just remember that going through this 180* shift doors puts you on the other side of them, allowing you to cross what would normally be empty space. Once you reach the top, get the cube! Don’t go through the warp portal just yet though, there’s more fun to be had here in the Bell Tower Area. Ooh, this place is cool! 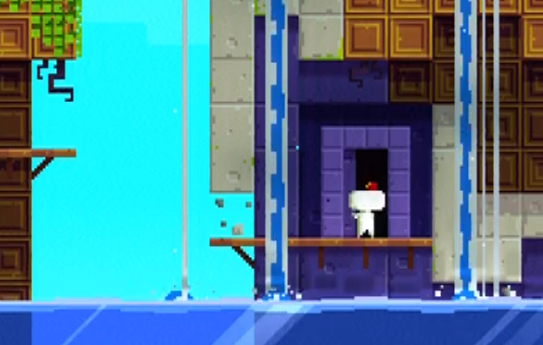 There are several areas within Fez with very blatant gimmicks. Sometimes Dot tells you, sometimes it’s pretty difficult to miss otherwise (you’ll see what we mean later). Here, we have a case of the “no shift” blues. 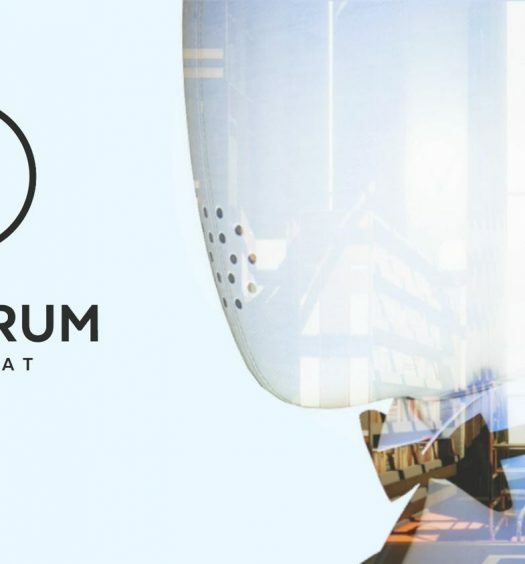 Bit – You’ll want to orient the area by moving the massive center totem. 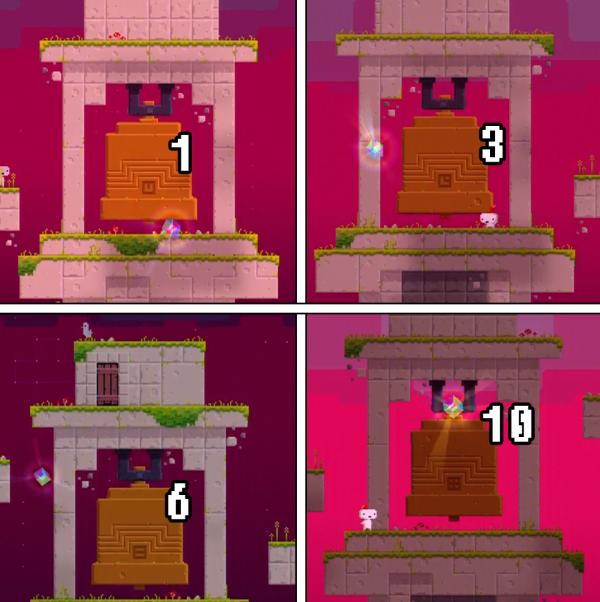 Since there’s no compass in Fez, refer to the picture below to see which way you’ll want everything to be shifted in the interest of picking up the bits here. 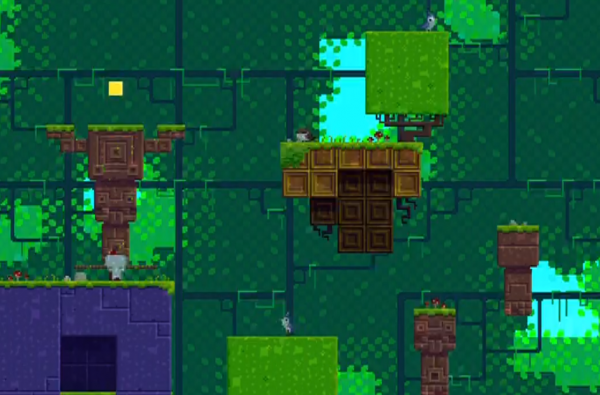 Anti-Cube – This is a great introduction to puzzles in Fez. Squares and cubes, if you haven’t figured it out already, are kind of a big deal around here. In this puzzle, we have one large cube with lines on it, and four smaller cubes around it, also with lines on them. Each hole in the large cube needs to be filled with the proper small cube. All you have to do to solve this is match the small cube’s lines with that of the large cube’s. There’s really not much to it once you figure out the gimmick. Fill the three slots with the cubes next to the large block. The last block is way on the ground floor and will require some finessing. Grab the cube then jump on the smallest pedestal around the periphery of the area. Then, rotate and jump one by one until you’re as high as you can get. Then, jump and throw the block to the main platform. Without throwing the block, it won’t make it. Put the block in then proceed through the newly created entrance. Once inside, make your way to the top of the trees for an Anti-Cube. Well look at you, making such progress! You’re already done with the Bell Tower area! Well, at least for now, you’ll be back soon enough. 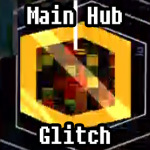 Go through the warp gate to teleport back to the Main Hub. There’s something to accomplish in every area after lowering the water level in Waterfall. Since that requires the Shift Cipher, we’ll go ahead and assume you’ve completed that by now. There is even more to find once you’ve progressed even further in the game, and that content will be even further down the SPOILER ZONE. If it’s not up here, you can’t do anything with it until later. 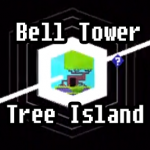 Specifically, we mean the island with the tree. You will come back here later, but for now just note that there’s a door here requiring 64 cubes. Yes, that’s all of them. Yes, it will be a while before you get back here. Once you’ve lowered the water, there’s a new door here for you to check out. Well. This place is crazy. This is going to be a very difficult bit of platforming, so we’ll do our best to guide your way through here. Really it only gets tough near the end, but man does it get difficult to see where to go. Let’s hop to it. Anti-Cube – We’re going to keep this simple. Instead telling you every single jump, we’re going to start from the point where things get difficult to spot. If you have more trouble earlier on, let us know. Once you come to the large square with the red block on top of it and hop on, things get tough. 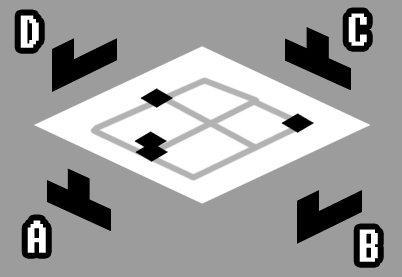 Rotate right to see a whole bridge of different platforms with grass platforms on the end. Rotate 180*, then jump on those. Rotate another right to see some very thin ledges to jump on. Hop on all of those until you get to the sandstone colored pillar with the purple ledge above it, just out of reach. Rotate 90* right, then jump onto the grass covered stone platform on the right. Hop to the right to see a grass covered clay (?) platform, and jump on that. With a leap of faith, jump even further to the right to find a minecart rail platform. Further still to the right is a small ledge platform with a purple block on top of it. Hop on that, then rotate right. Above is a basic grass platform, get on that then rotate left. On top of that is a crumbling platform. Jump on that, quickly rotate right and jump up slightly to the right. Rotate another right, hop up to the clay grass platform and rotate left. Get on the next platform above you and rotate left, jump twice left, rotate right, jump twice right, then yay you’re done! Phew! What a trip. Save yourself a major headache and take the warp gate back home. 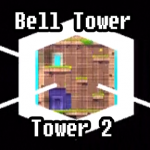 Anti-Cube – The bell tower bell is super duper simple once you’ve mastered the Number System. All you have to do is ring the bell the shown amount of times. The order doesn’t matter, but you might as well go from highest to lowest. Just check the picture below for the answers! This is where you view your red cubes. What else it does, if anything, we’re not sure.